The Week in HD - Monday 4th February | What Hi-Fi? 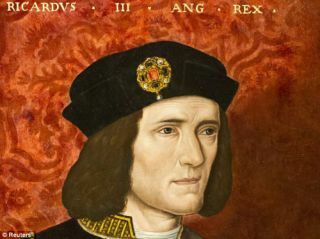 Is the parking lot skeleton really King Richard III? Well, if you've been watching the rolling news coverage all day, you'll know the answer to this one! Spoilers aside, this documentary takes a closer and exclusive look at the team behind the discovery. There's an episode two to the Mary Berry story, and that can only be a good thing. Mary takes us through her family life and finding a larger audience in sharing her baking talents through cookbooks and televsion shows, with her current role as judge on The Great British Bake Off firmly establishing her as baking royalty for all generations. Bob Mortimer, Doug Stanhope and Tim Key join Charlie in his rants against the week's media offerings. In 2002's Reign of Fire, the world setting is post-apocalyptic because that's what happens when dragons take over. Dragons were becoming a menace since 2010 (we're already 3 years overdue) and by 2020, the world is ravaged, with only a small band of survivors attempting to take back the world. Starring Christian Bale, Matthew McConaughey and Gerard Butler. Tim Burton at his finest, back when his spooky was geniunely spooky, when the Gothic set design was elegant and menacing, when the casting of Johnny Depp wasn't met with a resigned sigh. A London detective is sent to a sleepy little village where the local legend of a headless horseman come to life and decapitating the townspeople might just be more flesh than fairy tale. A classic Top Gear race of car vs public transport on the cards tonight, from London's Wembley Stadium to the San Siro stadium in Milan. Clarkson is in the godfather of muscle cars - the Shelby Mustang GT500 - while May and Hammond hop on to the pan-European rail network. Elsewhere, singer-songwriter Amy MacDonald is the star in a Reasonably Priced Car. Or the Film BAFTAs, as it's easier and more fun to say. Always entertaining and full of our favourite stars, Stephen Fry will be your host for tonight's extravaganza.